The political hot potato of the moment does not appear prominently on the European Council agenda – but it will undoubtedly dominate proceedings on Thursday. “On 21 March 2019, the EU27 leaders will meet to discuss Brexit”, says the draft agenda for the two-day summit. The topic is officially placed fourth after Europe’s economy, climate change, and the upcoming EU-China summit in April. Theresa May travels to Brussels on Thursday and will address European leaders in the afternoon. They will then sit down without her, to try to work out a response to the British government’s latest turn in its slalom course towards the EU exit. In a letter to the European Council, the British prime minister has sought an extension to Article 50 – the formal process for leaving the EU – until June 30. Later she said she was not prepared to delay Brexit beyond this date. Council President Donald Tusk has said he believes a short extension is possible – on condition that the British parliament approves the UK-EU divorce deal. May's move confirms what parliament decided last week. The House of Commons passed a motion stating that if the EU withdrawal deal was approved, the government would seek a new departure date of June 30, to allow time to pass the necessary Brexit legislation. However, the motion also noted that if the deal did not pass, then the EU would likely demand a clear purpose for an extension – and any longer delay would require the UK to hold European Parliament elections in May. Deputy Prime Minister David Lidington spelt out to the Commons on March 14 what that would mean: "In the absence of a deal, seeking such a short and, critically, one-off extension would be downright reckless and completely at odds with the position that this House adopted only last night, making a no-deal scenario far more, rather than less, likely. Not only that, but from everything we have heard from the EU, both in public and in private, it is a proposal it would not accept." So the move towards only a short Brexit delay is likely to have taken EU leaders by surprise. European Council President Donald Tusk – who held meetings with heads of government in the run-up to the summit – had appealed to them in a tweet to be open to the idea of a long extension. That was on the hypothesis that the UK “finds it necessary to rethink its Brexit strategy”. Theresa May – under pressure from Brexit supporters in her Conservative Party – has now indicated she intends to do no such thing. What is in the UK-EU Brexit deal and why is it so unpopular? European Commission President Jean-Claude Juncker said on Wednesday morning that he believed the EU might need a further summit next week, to agree on a possible extension. That would take Brexit right down to the wire, perhaps just a day before the UK’s scheduled EU departure on March 29. The EU is sure to press the prime minister on what exactly she intends to use an extension for. A short extension would at least avoid the hornet’s nest that British participation in the European Parliament elections would bring. It might give Theresa May another chance to ram the Brexit deal through the UK parliament. On the other hand, it might merely delay a no-deal Brexit. Some have pointed out that hardline Brexiteers in the House of Commons would have every incentive simply to sit on their hands and wait. The prospect of a long delay had forced many to consider backing the deal they hated, to get the UK out of the EU and avoid losing Brexit altogether. But a short extension only – with the prospect of a cliff-edge merely delayed to the summer – would instead put massive pressure on pro-EU Conservatives and opposition parties to back the deal, and avoid no deal. Last week the House of Commons also voted heavily to reject leaving the EU without an agreement with the bloc. Some MPs now accuse the prime minister of caving in to hardliners. 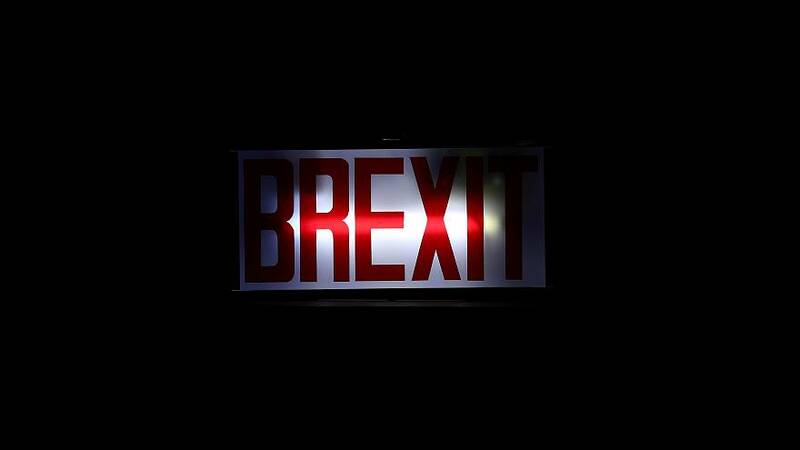 If what they see as a catastrophic no-deal Brexit once again becomes more likely, it could see a renewed effort among parliamentarians to take control of the Brexit process.